iPhone4 Recall Imminent? Probably Not. However, the likelihood of such a massive recall is seriously diminished once we look at Apple’s past PR record. Sure, Apple has offered product recalls in the past. They even offered one earlier this week, when they offered to exchange defective Time Capsule devices from 2008. Despite Apple’s odd recall here and there, there is virtually no chance that the iPhone will be recalled. Why? There are three big reasons. First off, demand for the device is ludicrously high. As in 1.7 million iPhones sold in 3 days high (and an estimated 1.5 million in launch day sales). Apple’s been breaking sales records for the iPhone left and right. 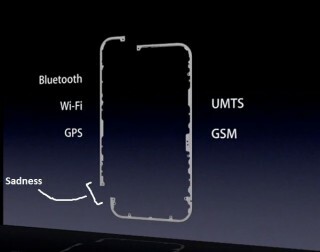 Despite this high-profile hardware defect, people still want the iPhone4. If Apple issued a recall, they would have to halt production of the device to go back and fix all of the affected units which are ready to ship. There’s still huge demand for the device, and such a delay in production would infuriate those consumers who have been waiting weeks for their device. This isn’t an issue of replacing components. Since the metal band around the outside of the phone is the phone’s antenna, nothing less than a redesign would be necessary to fix the problem. Short of changing the phone’s manufacture to include a coating on the antenna, the only way to fix the problem would be an incredibly costly redesign. In turn, this would further delay production. Financially, it makes almost no sense for Apple to fix the problem in manufacturing, at least until it begins to adversely affect sales. Third, and most important, is the simple fact that Apple operates differently from any other company out there. CultOfMac’s experts compare this reception issue to Toyota’s runaway cars. An interesting comparison, but not a very good one. 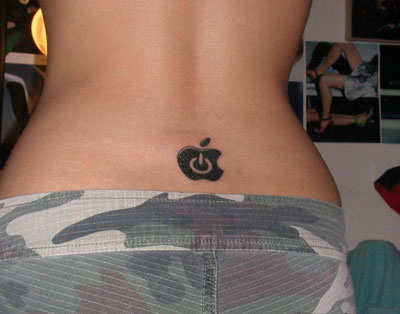 While companies like Toyota and Ford have loyal followings, they pale in comparison to the dedication of Apple fanboys. Put bluntly, it is unlikely that Toyota fans would tattoo the company’s logo on their lower back or venerate their company’s CEO as a god. There’s even a dating site exclusively for Apple fans. Apple’s unimpeachable brand loyalty provides the company with a novel way out of their PR crisis. In fact, to see how loyal Apple’s customers are, all one has to do is look at the comments from the posts we wrote revealing this problem. By asserting that most users are not affected by the issue and refusing to address the reports that the issue is built into the phone, Apple has managed to exercise a perverse sort of issue control. Indeed, many iPhone4 users are completely unaware of the problem. In fact, Apple’s ability to control the issue represents much of the reason why Apple is so reluctant to recall the phone. A recall challenges Apple’s flawless image and would diminish the brand in the eyes of their fans more than doing nothing would. If Apple will not recall their flawed devices, what will they do? They are fully aware of the problem, and they know they need to solve it. The solution, however, comes in a much cheaper form than a full-on recall. Bumpers. Apple’s been selling the bumper cases for the new iPhone at $30 per case, very expensive for what essentially amounts to a Livestrong Bracelet. However, the bumpers are extremely cheap to manufacture and largely remedy the phone’s problem. While Apple would lose a bit of money on lost bumper sales if it offered free bumpers to users who complained, they’d save a huge amount of money over the cost of a full-blown recall. This seems like the best and most likely route for Apple to take in the coming days, rather than the so-called “imminent” recall. Thanks to Gizmodo for the image.